I’m taking a break from writing prompts for a while. I wanted to do something more fun- guest posts! 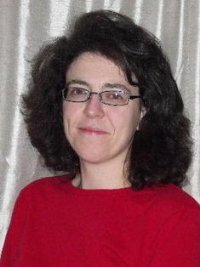 Today Felicia Rogers is talking about her new book, a contemporary YA paranormal romance. Everyone else has fun in high school, but not Maddie Clevenger, the senior year’s dork. Orphaned and living with her grandmother in the nowhere town of Coal Creek, she keeps her head down, her hair over her eyes, and herself as far away from the cheerleaders as possible… until she bumps into the cute new guy and he literally sends an electrical shock up her arm. Is it possible for a dork to fall in love at first jolt? Air Force brat Chase Donovan has moved from town to town forever, but now Dad’s retired and promising they’ll stay put for a while, so maybe he can get to know some of the Coal Creek girls. He couldn’t care less about the cheerleaders, but there’s something so vulnerable about Maddie, the shy girl with the beautiful jade eyes. Chase just knows taking care of her is his calling in life… but when bizarre, murderous flying monsters begin stalking her, he wonders if he is the key to solving her problem, and what it will cost him to protect her. How should I begin? The Key is a novel with multiple layers. Everything from the names to the descriptions, to the umm, creatures, have double meanings. Some are easy to catch, some are not. But I’m getting ahead of myself. I should probably start at the beginning. 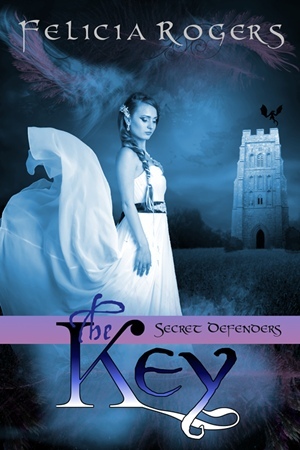 The Key is a Young Adult paranormal romance that was conceived of at my kitchen table over a span of two weeks. Like most novels it started with one thought — a girl who refused to date a guy with an ugly truck. The thought has little to do with the actual plot of the novel, but we all need a spring board, right? Maddie Clevenger is alone. Her parents have died and she doesn’t seem to fit in anywhere. Coal Creek High is no different. Two months into school and she still doesn’t have a locker. She is basically invisible, at least until two new kids show up. Dougal and Chase. They are as different as night and day. They are like two sides of the same coin. One dark, handsome, and mysterious and the other light, handsome, and well, mysterious. But you have to understand, Maddie Clevenger isn’t just some random girl without a purpose. She isn’t the class dork as she believes. No, she has a purpose. A purpose that has been passed down. A burden she must bear. Question is, how will she handle it?